Japanese fansite Autobase Ichi, has posted resin model images of what appears to be, Generations Warpath! As reported by Allspark.com, these images were submitted to the Japanese patent office for approval! -Wierd! If so, I wonder why so many other toys haven't ever shown up for a similar purpose? Whatever the reason, we get a sweet sneak peak of what's to come. Re: Blam! Zowie! Generations Warpath! Wait! Oh, YES! 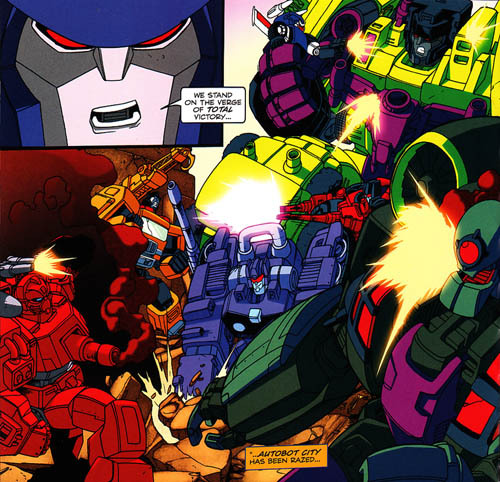 This is the body he had in the "Rodimus vs. Cyclonus" 2-pack comic. Praise Primus and pass the ammunition! Its about time he got some deluxe class love!